We created this site for friends and family to follow our RV journey. We have always loved taking road trips together, but after Jennifer’s celiac disease diagnosis in 2012, road-tripping became much more complicated. We packed more food than clothes for any given trip, especially once we realized one crumb could ruin an entire trip in an instant. What’s a family to do when they love to travel but can’t eat at most restaurants? Bring the kitchen (and the rest of the house) on the road! 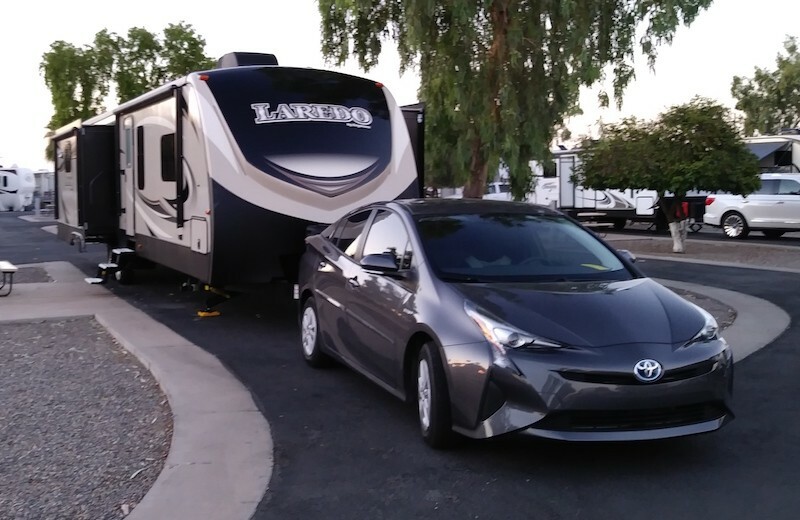 After several years of planning and hoping, we recently purchased our first RV, a beautiful 2019 Keystone Laredo travel trailer we’ve named Ginger, after our road-trip-loving cat who passed away earlier this year. Then we purchased a big ol’ 2016 Dodge Ram 2500, which we’ve named Buddy, after our car-trip loving little dog who passed away the week before we married in 2008. Join us as we share our renovations, cooking, and cats!